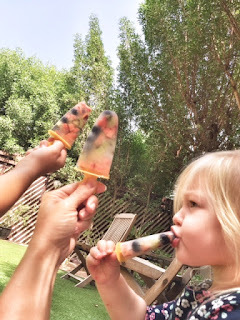 Inspired by those beautiful summer coolers from Pureella, we made some super easy and kids healthy ice lollies. There’s nothing like a cold, refreshing popsicle in the heat of our lovely Dubai.Super simple and made with real ingredients that you’ll love. All are dairy and refined sugar free. Kids will love to experiments with the ingredients and find the right combo. Our version was a success but while Little Jo sucked up the ice lollies on no time, Luella was contemplating skipping the fruits in favour of gummy bears. And we all agree, kiwi did not freeze well, pick sweet and juicy fruits instead! Combine all fruit in a mixing bowl and place in your favorite popsicle mold. Pour enough coconut water in each mold to just cover the fruit. Dash Agave Nectar if required. 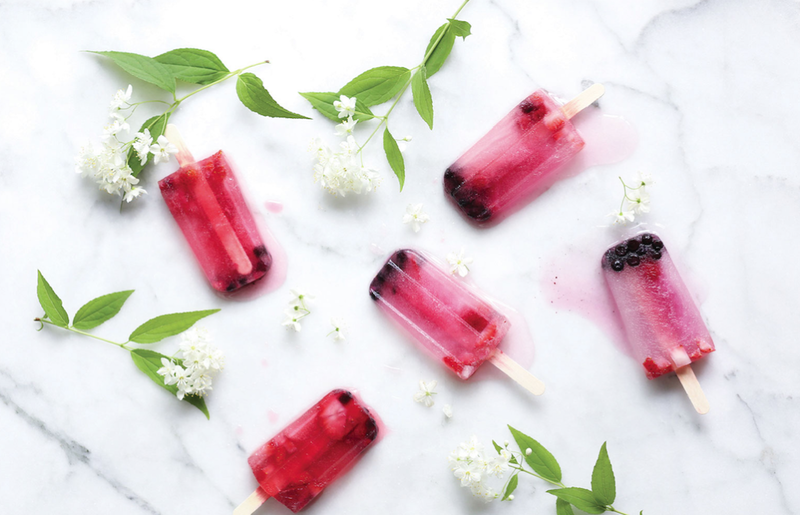 More ideas for the little ones - 50 homemade ice lollies.